ArenaNet talks about the design manifesto behind Guild Wars 2. Ed Catmull, resident genius and president of Disney and Pixar animation (yes, the guy behind Catmull-Rom splines, beautiful tools for computer animators everywhere) gave an address at my alma mater a while back, describing how his companies were trying to create a third Golden Age for Disney animation. I wish I had the talk on tape, since there were a LOT of great thoughts in it. For the moment, though, a few words on his comments about goodwill and B-work. Oddly, though I don’t like Goodman’s Baloo, I actually liked TaleSpin. It was on the tail end (ha!) of the golden age of Disney TV (DuckTales is still the best TV cartoon I’ve ever seen), and thoroughly enjoyable. I’d have loved to have a cloud surfer… thing. Well, that, and a parachute. Perhaps TV is “B-work” compared to film, but in their realm, DuckTales, Rescue Rangers, Gargoyles and TaleSpin were A-list productions. Modern animated fare doesn’t even compare; it’s like Yogi Bear vs. Scrooge McDuck, George McFly vs. Mike Tyson, Runescape vs. WoW. One of the key ideas that Mr. Catmull noted is that despite being decidedly subpar, B-work can still be profitable. Cinderella fans buy the sequels for their children on the strength of the name. Slapping “Disney” on the side of a movie almost guarantees sales… at least, for a while. Mr. Catmull suggested that those B-work sales are active withdrawals against the goodwill banked in the Disney name. The spectacular successes of Beauty and the Beast or the emotional heft of Up increase the value of the Disney name. Tarzan 2 callously cashes in on the appeal of the original and contributes nothing to the brand or parent name. It makes money because the original succeeded, and wouldn’t stand on its own as anything but the B-work that it is. 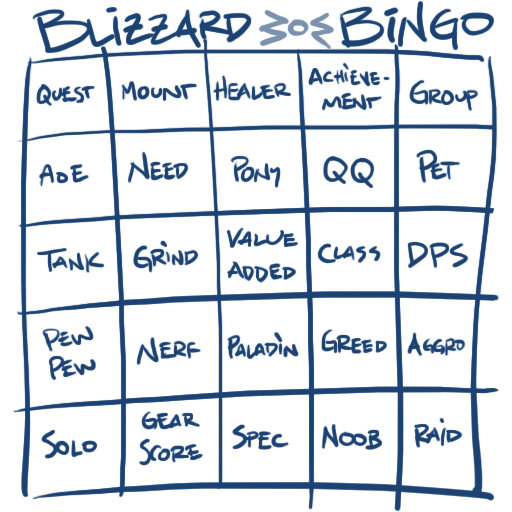 I’ve seen more than a few pundits suggest that Blizzard could put horse feces in a box and sell it for $60. They can sell a digital horse for $25 without even selling a box with it, and time will tell if StarCraft 2 is crap (only $100 for the Collector’s Edition of 1/3 of the game), so there’s some truth to the joke. Blizzard can bank on the goodwill generated by its history. It might be noted that they could have sold WarCraft Adventures, probably in record numbers… but they decided to scrap it because it wasn’t up to their internal demands. It’s hard to cut something like that with promise, but like pruning a slightly rotting branch on a tree, sometimes it’s necessary to maintain company health and brand reputation. People would still have bought the game, but it might have wound up being profitable in spite of its own quality, by withdrawing money from the goodwill banked in the Blizzard and WarCraft names. Blizzard did salvage the story from the game, both in a novel and as canon to the setting of WoW, so they didn’t totally throw that work away, but the choice to kill the game release was likely a hard one. We can’t be sure, true, but it’s an interesting case study and comparison to the awful offal that sometimes comes out of the Disney Direct to DVD grindhouse. The trick is to make great products that are profitable and deposits to the goodwill bank. Pixar has managed to do this very well, without a stinker in their library. Sure, some of their movies will appeal to some people more than others (I still don’t particularly like Finding Nemo, but I like it better than 90% of other movies), but I don’t think that any of their offerings have been an active withdrawal against the Pixar and Disney names. It’s no accident that Pixar and Blizzard are giants in their fields. They deposit more than they withdraw from the goodwill bank. …there are all sorts of political, sociological and interpersonal parallels that could be explored there, but I’ll leave that to the imagination. OK, OK, here’s your Free Space. As with the pony, I’m sure it didn’t take much time to produce. In fact, I can testify that it took all of 15 seconds. That’s what, 0.2% of my budget? Don’t worry, it’s just a skin you can slot in over the real thing, purely cosmetic. If you need someone to do that for you, please contact our handy dandy customer support at not.going.to.happen@gmail.com, and remember, if someone comes to you with an unsolicited AddOn to splice in the Free Space, they are probably phishing. Does the U.S. Second Amendment cover this? Sometimes it’s fun to leave a webcomic alone for a while, then you can come back to it and read a bunch at a time. Sequential Art is good stuff, and I’m glad that Cap’n John has a link to it over at his place. I’ve migrated to Chrome and lost some of my old bookmarks. SA was lost in the shuffle, and it slipped my memory (leaky like a sieve as it is these days).